Affordable kayaks are a great choice for kids and those new to paddling. Some of the higher end boats can run into the thousands of dollars, but you can get inexpensive kayaks, many inflatables for less than $100. Why make a major investment until you or your children have had some experience on the water? Try out one of the cheap kayaks for sale to make sure you enjoy the sport before spending a bankroll on a rig.We have composed the following list of the 10 best deals on kayaks for the economically minded. According to the Amazon Bestsellers list, the best cheap kayak available is the inflatable sit inside Intex Challenger K1. This kit comes with the boat, a high capacity air pump, a repair patch and an aluminum two-paddle oar. The Intex Challenger K1 is a bestseller because an inflatable kayak like this one is an inexpensive way to try out the sport without spending a lot of money. Additionally, an inflatable is easily portable and can fit into a small storage space or a cargo carrier. This low profile kayak has a wide cargo net for your gear and includes handle lines on both the front and back so you easily can maneuver the boat. The Challenger has a maximum weight capacity of 220 pounds and measures 108 inches in length. The welded vinyl material is extremely tough and resistant to ripping or tearing from scraping over jagged rocks and creek bottoms. The kayak inflates and deflates in five minutes or less and stores in its own 2×2 carrying case. According to Amazon customer reviews, the Intex Challenger K1 is the best kayak for the money. The Intex Explorer K2 inflatable kayak is the second of the most popular discount kayaks according the Amazon customers. The low-profile sit inside Explorer K2 is a two-person model, a bit larger than the Intex Challenger, with a sporty, bright yellow exterior and black interior and seats. This yak is great for mild rivers and calm lakes with the removable skeg for greater control. Paddlers will enjoy two very comfortable inflatable seats and back rests. The kit also includes a high output air pump, repair patch and two aluminum 86 inch two-paddle oars. The Intex Explorer is assigned a unique US Coast Guard ID, which is provided to the owner upon purchase. The inflatable Intex Challenger K2 two-person sit inside model is another favorite of bargain seeking kayakkers. The Challenger K2 is the two-person version of the #1 customer favorite, the Challenger K1. The kit includes along with the boat, the high output air pump and two 2-paddle aluminum oars. The removable skeg adds directional control for two paddlers, but one person can easily navigate this model as well. Weight capacity for this boat is 350 pounds, how4ver, customers report loading the kayak up to 400 pounds without any issues. The well designed Emotion Sptifire 8 is a sit on top hard side kayak that is stable and easy to handle. Molded from high density polyethylene plastic, the Spitfire 8 weighs only 39 pounds so it is easy to carry from the vehicle to the waterfront without a kayak cart. This brightly colored kayak can easily handle loads up to 245 pounds and remain stable. Molded foot wells and a cushioned backrest keep the paddler comfortable on longer tours. Scupper plug holes self-bail water out of the tank well and cockpit, keeping the paddler dry and cozy. The Emotion Spitfire 8 is the best cheap kayak of the hard side variety. The Sea Eagle SE370KP is a durable, rugged sport kayak. Though it is an inflatable, this kayak can handle up to Class III river whitewater. This Sea Eagle model can accommodate 3 people and a total of 600 pounds, but only weighs 32 pounds when deflated. The hull is made of tough PolyKrylar material – rugged enough to withstand large dog claws. The boat has lashed down spray skirts to keep passengers dry. If you are searching for family kayaks for cheap, this Sea Eagle is smart and economical choice. The Coleman Quikpak K1 is the most popular sit on top inflatable kayak. 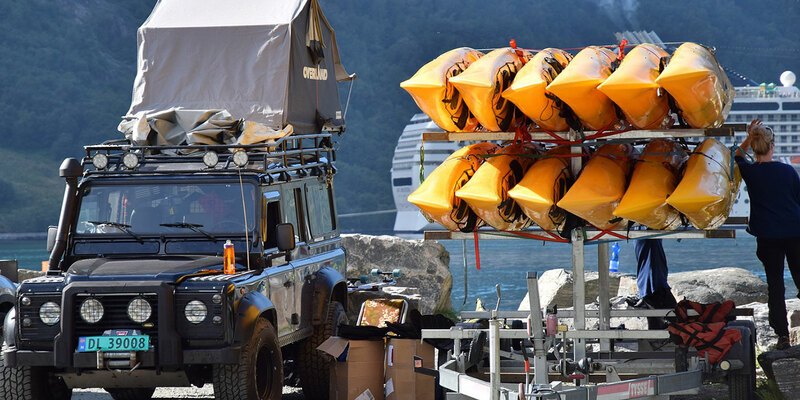 One of the coolest features customers report about the Coleman Quikpak K1 is the kayak’s design. The deflated boat fits into a backpack for transport, and then the backpack converts into the seat once the boat is inflated. Several air chambers ensure that if the boat is punctured, it will remain upright and above the water. 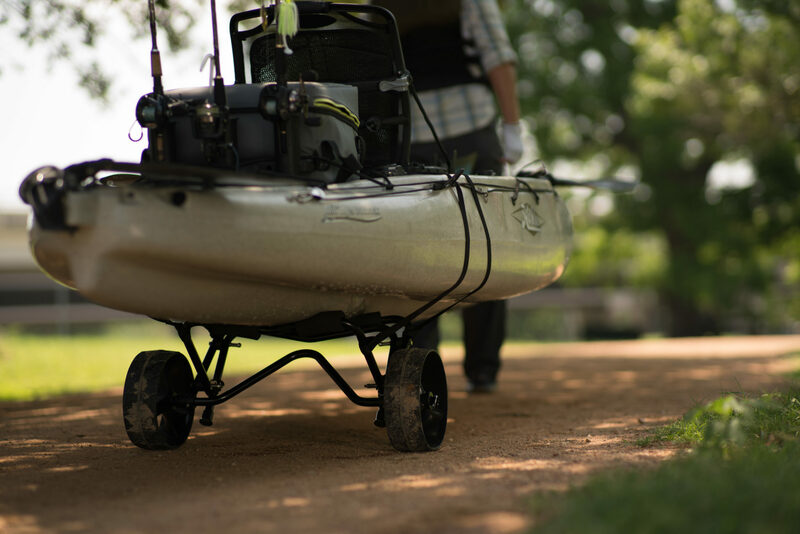 Convenient carrying handles and a built-in cup holder make the kayakker’s trip even more pleasant. Though this kayak is designed for just one person, it can easily accommodate up to 400 pounds. The boat sets up and deflates in less than five minutes. The Lifetime Manta Tandem is a hard side sit on top yak that ships with two two-piece oars and two detachable backrests. The oars are designed with push button controls on the paddles, enabling the paddler to adjust the oars to a 90 degree angle. The kayak’s balance and control are amazing, according to customers who purchased this boat. 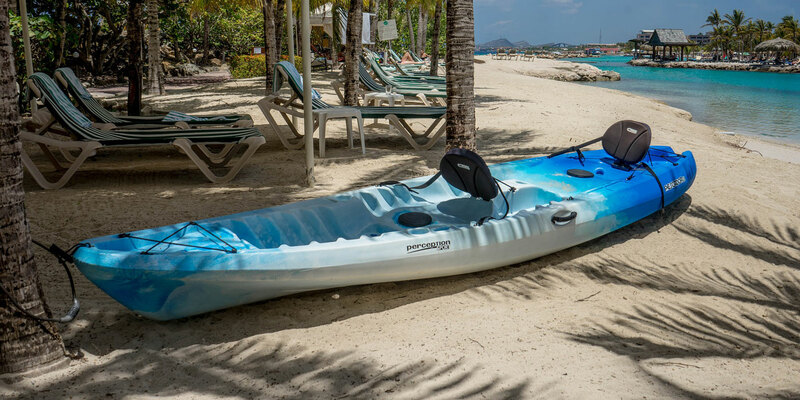 Though the kayak is designed for up to three people, it can be easily controlled and maneuvered by one paddler. The oar cradle keeps the oars secure when not paddling. If you are in the market for durable hard side family kayak, the Lifetime Manta Tandem is a favorite of reviewers. Ocean Kayak is a well known brand name among seasoned kayakers, regarded for excellent design and durable construction. The 12 ft. Malibu Two Tandem is a hard side sit on top kayak that can accommodate two adults and one child. Maximum weight capacity is 375 to 425 pounds. The hull is designed to be stackable for families who own more than one. The Malibu Two is available in three colors: Solid Yellow; Envy, a combination of grays and white; and Sunrise, a fiery blend of yellow and red. If you are shopping for a low priced fishing kayak with all the bells and whistles, the Sun Dolphin Journey SS is for you. Standard equipment includes two flush-mount and one swivel rod holders. The boat ships with the proprietary Portable Accessory Carrier, which can also be used as tow-behind storage or a backpack. The foot mounts are adjustable for comfort, and the oversized cockpit allows for easy entry and exit. The boat is available in two sizes, 10 ft. and 12 ft., and three colors: Drab Green, Olive and Sand. The best selling kids’ kayak and the favorite of many parents is the sit on top Lifetime Youth 6 ft. Wave. The lime green Lifetime Wave ships with a two-paddle oar and a toggle grip handle on the stern for easy transport. Perfect for kids of all ages, this stable little kayak can hold up to 130 pounds and is an affordable choice for young people getting used to paddling solo on the water.